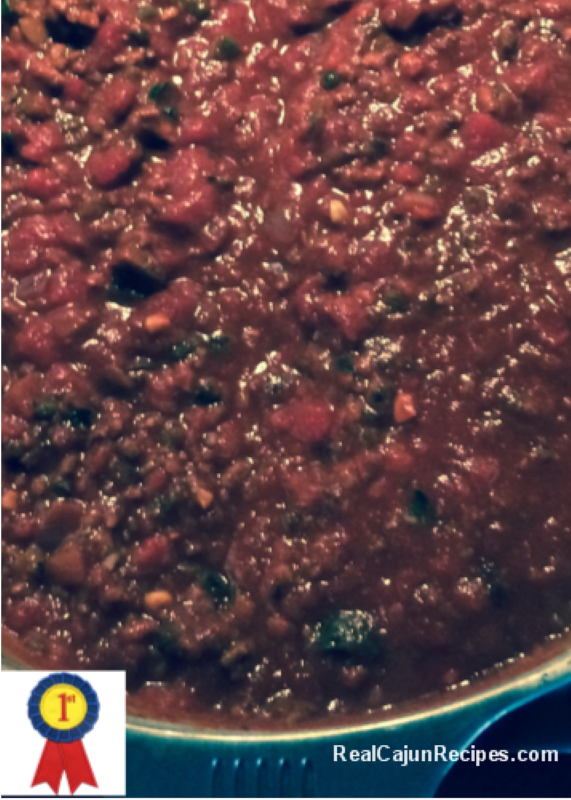 Chili Cook Off – Blue Ribbon First Place – RaginCajun aka Rajun Cajuns from South Louisiana!!! It’s always a Texas Day all over town on this day as it was the first day of the Houston Livestock Show and Rodeo. Trail riders from all over ride into town after a week or so trail riding into Houston just like Rawhide..what is Rawhide? According to Wikipedia, Rawhide is an American Western TV series starring Eric Fleming and Clint Eastwood that aired for eight seasons on the CBS network on Friday nights. can you remember this? The author’s Dad sure did (his favorite)! The concerts kick-off Tuesday night it’s a month long event at Reliant in March . Rodeo and concerts each night in March. Lots of fun! Grab your bowls, Grab your spoon, Ready – Set – Eat…If you reckon, add your Frito Chips or some of dem wieners and mix with dat chili~~ and What a Treat for a Meal!! Call friends and family, let them know you are about to make some throw-down Chili! Before the stampede, grab a large Magnalite pot (10-quart) and brown the Andouille sausage (cut in cubes or slices), ground beef and ground pork on high heat (do not drain). The idea here is to get some good browning/sear in the pan so don't fret if it sticks to the bottom, that's the idea. Just don't go overboard and burn it. Throw in the celery, onion and garlic, cover, reduce heat and let it do it's thing for 10 minutes at least, stirring frequently. Everything else goes in! Be sure to include all the juices from the diced-tomato cans. Let it come together at a high simmer for about an hour, less if you can't wait. Grab a bowl, get a beer or soda and chow down!! Author does add - you can use less beans than on the recipe. One can of each instead of two of each - this author does say that he likes a lot of beans in his chili!